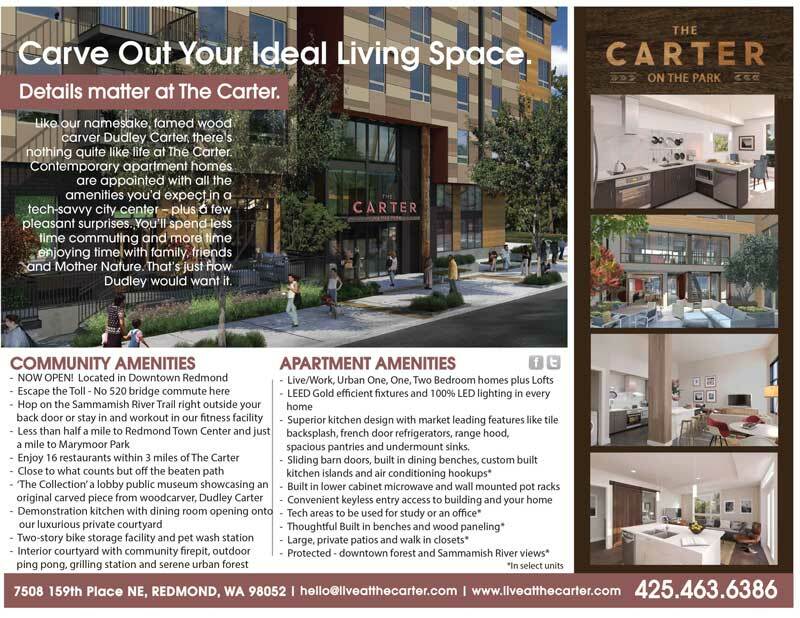 As a perk to being a new Carter resident, we offer many resident benefits that go beyond providing just a new home. At our Redmond apartment for rent, our Resident events, exclusive VIP program, and Resident Referral program all are unique to the Carter and are loved by all of our residents. Explore events and outings at The Carter and around the Redmond area! March 10, 2018Resident Appreciation Brunch! We have created the "Resident VIP Program." The vendors listed have all agreed to extend a courtesy discount to you, our residents, which you can take full advantage of for as long as you live at the Carter. Simply show the participating vendor your VIP Membership Card or your discount offer on our exclusive resident app and receive the discount listed! On top of the savings, you can be proud of supporting local neighborhood businesses and the community you live in. Refer someone to the Carter and be rewarded in two ways: you will have great new neighbors, and you will earn our exclusive resident referral incentive! Ask a leasing team member for more details.